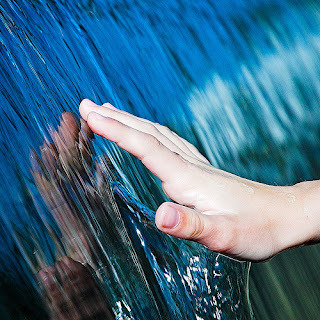 Yet for those prepared to look more deeply than the dominant view would allow, there remain in the world vivid echoes and reverberations of the miraculous presence and the transformative mission of Jesus of Nazareth. That presence continues to manifest in the lives of those who - for whatever unknowable reason - abide within a spiritually and transcendentally energised reality given to but few. Padre Pio of Pietrelcina was such a one. 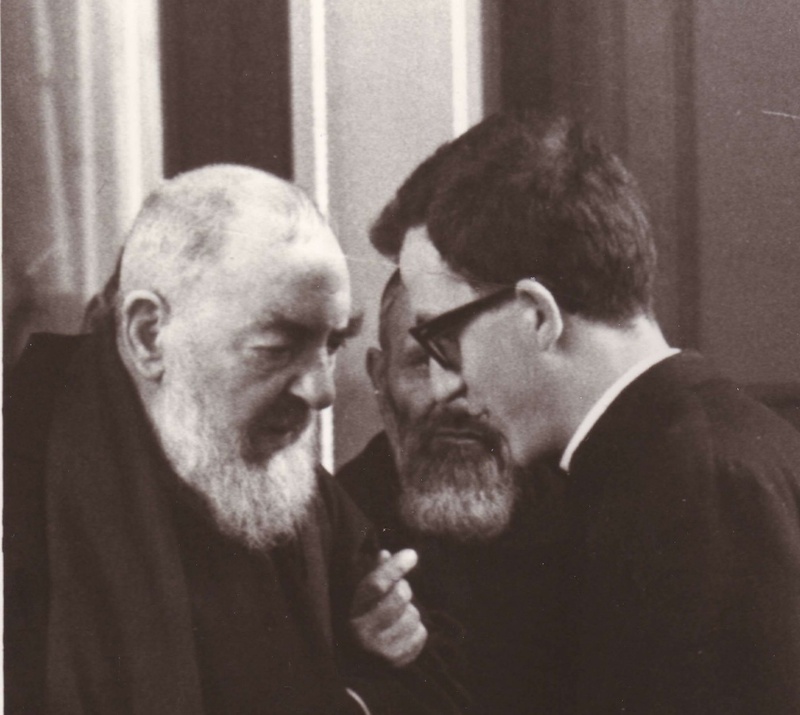 Padre Pio has long been a household name in Italy. Born in the village of Pietrelcina, some 80 km north-east of Naples in 1887, he entered the Capuchin order at the age of fifteen and was ordained a priest in the lineage of Saint Francis of Assisi eight years later, in 1910. Like Saint Francis, he was eventually to be marked by the stigmata - the physical wounds of Christ - on his hands, his feet and his chest. He was the first priest in the history of Catholicism to receive such a charism. Like both Jesus of Nazareth and Saint Francis of Assisi before him, Padre Pio's life overturned all notions of conventionality and normality. Strange things happened when one was in his presence. The impossible was a commonplace in many of his encounters. How could it be otherwise, when one was in the presence of a living mirror of the living Christ? Numerous books and resources describe and detail the unusual attributes of this remarkable man. For some, they may serve to inspire and sustain faith in the existence of a transcendental dimension and a deeper purpose within human life. For others, they may represent the final gasps of medieval superstition in an age where the rule of reason has declared the end of history and claimed for itself a technologically-mediated theosis. Yet others - possibly the majority - dismiss such accounts absolutely, considering them to be mere fables or outright lies. As with Jesus, a significant part of Padre Pio's mission was concerned with the work of healing both the body and the soul. There is no shortage of documentation detailing the healings that have occurred due to the intercession of Padre Pio. Yet his work extended far beyond healing. As with Jesus, the charisms of Padre Pio knew no boundaries. He manifested a range of what Saint Paul referred to as Gifts of the Spirit. For Padre Pio, these included bilocation, or the ability to be in two places simultaneously, an intimate knowledge of the lives of those he had never met before, continual engagement with disembodied beings, both benign and demonic, the presence on his hand and feet of stigmata - the wounds of Christ - that exuded a sublime fragrance that could manifest even at a distance, and the ability to speak and understand languages he had never learned. The meaning of the life of Padre Pio cannot be fully encompassed by knowing his story or the range of his spiritual gifts. It is only in the context of his day-to-day influence on the lives of those who knew him and loved him that one can begin to form a coherent understanding of the man and of his mission. The reminiscences and stories of those who were close to him will provide far more light than any formal examination of the many available histories and commentaries that attempt to describe his life and detail his attributes. One such story is offered by Giuseppe Caccioppoli, a spiritual son of Padre Pio. Giuseppe Caccioppoli was born into a way of living that is near-incomprehensible to the contemporary mindset that deems religion to be an irrelevant vestige of a superstitious past. Yet in the Italy into which Giuseppe Caccioppoli was born three generations ago, the Catholic Church formed the pivot on which the life of many communities turned. From the age of five years - even before he was old enough to attend school - Giuseppe Caccioppoli would arise at 5 am and receive instruction from his mother in reading and writing. Once he began his primary schooling, he would attend morning mass at the local church at 6.30 am, and then together with a number of other young boys, would receive religious instruction from the parish priest before going to school. Unanticipated, unforewarned, and unprovoked in a crowded chapel, Padre Pio had gone straight to where young Giuseppe was sitting and welcomed him as one of his own. Prior to arriving at San Giovanni Rotondo, Giuseppe had felt only a certain anxiety and trepidation about this man from whose hands and feet, he had heard, blood often flowed. But from the moment of that first meeting, incomincio un grande affezione speciale ("there began a deep and special affection") that continued until the time of Padre Pio's death 18 years later. This encounter was the first of many that were often characterised by intense and unusual experiences. A few months after that first meeting, Giuseppe entered the Diocesan Seminary of Castellammare in Sorrento, near Naples. Although he was only ten years old, he commenced his studies for the Catholic priesthood. His entry into the seminary at such a young age was a natural progression of his life as it had been lived until that time. Early induction into a life of spiritual instruction and discipline is not the exclusive domain of the child monks of Tibetan Mahayana or of Myanmar Theravada. It has also been a long-standing practice in the European Catholic tradition. Soon after, Giovanni Celotto, an older friend of Giuseppe, urged him to ask for Padre Pio's blessing that he may become un santo sacerdote ("a saintly priest"). Giuseppe made the request when next he visited San Giovanni Rotondo. 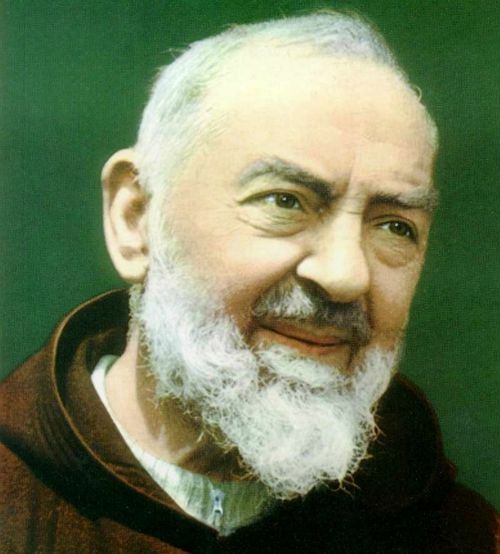 To his great surprise, Padre Pio said, no, no, no, tu non ti a fare prete ("No, no, no. You are not to become a priest"). He relayed this on to Giovanni Celotto when he returned to Sorrento. Celotto insisted that he ask Padre Pio once again. He did so at their next encounter and Padre Pio repeated: "No, no, the priesthood is not for you. You are not to become a priest." Regardless, Giuseppe continued on at the seminary. When he was on the point of completing his formal studies eight years later, Giuseppe yet again asked for a blessing. This time Padre Pio said, "If this is what you wish, it will go well. But you will need to find your bread elsewhere." It was not until he took his leave from the priesthood 16 years later in order to undertake medical studies that Giuseppe came to realise the deeper meaning of Padre Pio's blessing. 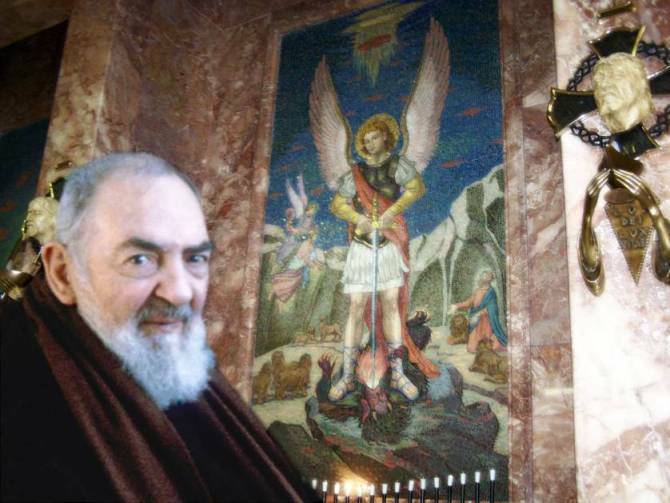 Giuseppe Caccioppoli recalls that throughout the 18 years of his time with Padre Pio, there occurred a number of events that could only be described as miraculous. In a highly emotional recounting, he tells of a woman from Naples who had suffered from the effects of a tumour for a number of years. Her symptoms had reached the point where her doctors had decided upon surgery. She had heard that Giuseppe visited Padre Pio regularly so asked him to keep her in his prayers. She asked especially that he pray for her when he was with Padre Pio, as she was soon after to be assessed by hospital surgeons. Giuseppe travelled to San Giovanni Rotondo some days later. The church was filled with people praying the rosary together. He squeezed into the back of the church and those in the last pew moved together and made a place for him next to the aisle. Padre Pio was kneeling at his prayer-stool near the altar but was not visible because of the crowd. With the woman from Naples firmly in mind, Giuseppe joined in the recitation of the rosary. As the prayer was drawing to a close, he became aware of some commotion around him. People in the aisle seemed to be murmuring and moving about. He opened his eyes and noticed that they were making way for a tall fair-haired monk. As the monk came closer, Giuseppe wondered where he might be going. The monk walked straight to where Giuseppe was kneeling, stopped and bent down. He smiled and said: "Padre Pio has asked that you now stop praying for that person, because you have received what you have been asking for. Your prayers are now starting to distract him." The monk then stood up, smiled broadly, and walked away. He disappeared into the crowd within a few steps. 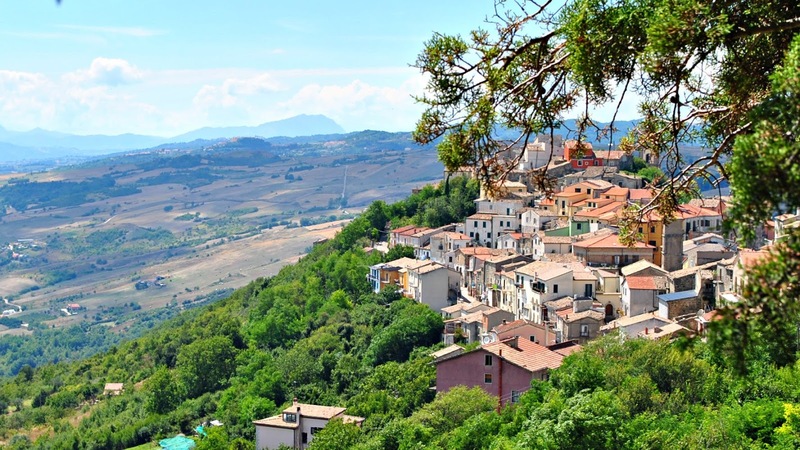 Shortly after returning to his home town, Giuseppe was visited by a young man who introduced himself as the son of the woman for whom he had been praying. The young man said: "My mother has asked me to tell you that she went to the hospital yesterday. The doctors conducted the full range of tests, but could find no evidence of any tumour." This was not the only time Giuseppe Caccioppoli was confronted by experiences that defied all rational interpretation. He tells of a visit to San Giovanni Rotondo with his mother soon after he had purchased his first motorcar. His mother had arranged for an appointment to attend confession with Padre Pio. There was a high demand for such confessions, and one needed to sometimes book many weeks in advance. When the day arrived, they travelled to the monastery arriving a little before the appointed time. They presented themselves to the monk who was in charge of appointments. On looking through his list, he declared that there was no Mrs Caccioppoli booked for that day. Giuseppe insisted that he look again more carefully. 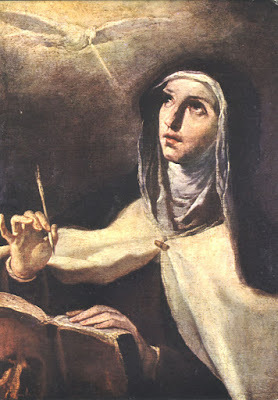 The monk eventually found her name, but according to the list, she was not scheduled to see Padre Pio for another week. Despite all his pleading, Giuseppe was told by the monk that there was no way that she could see Padre Pio before that time. 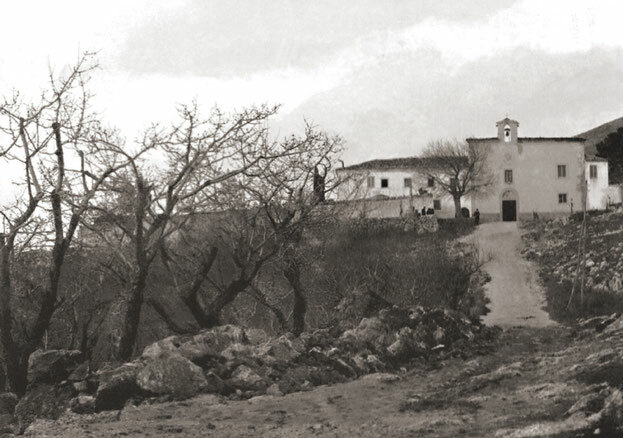 While on the same visit to San Giovanni Rotondo, one of the monks suggested that Giuseppe ask Padre Pio to bless the car that he had just purchased. The blessing was performed later that afternoon. In his account of what followed, Giuseppe recalled: Dopo poci giorni, io capi l'efficace di quella benedizione ("Within a few days, I had come to know the power of that blessing"). At that time, the road between San Giovanni Rotondo and Naples passed through mountainous terrain with many narrow and difficult sections. While returning to Naples with his mother and two other friends, Giuseppe, who was not an experienced driver, lost control of the car on an unprotected corner. The wheels locked and the car began sliding towards a steep drop. It was a moment of utter terror for them all as the car hurtled towards the edge. At that moment, the car suddenly spun around, and stopped right on the edge of the precipice. The cabin of the car was immediately filled with an overwhelmingly strong fragrance. All four passengers confirmed to each other that they could vividly smell the perfume. It was an unmistakable intersubjective manifestation of osmogenesia, the emanation of a beautifully fragrant odour associated with Padre Pio and other saints. The account that Giuseppe Caccioppoli offers of his lived experience with Padre Pio of Pietrelcina brings to mind a generally neglected aspect of the life of Jesus of Nazareth. What characterised Jesus more than anything else was the fact that in his presence, the so-called reality of the world was turned upside down. Water was transformed into wine. The blind regained their sight. Many who were maimed and crippled were healed. These charisms did not end with the crucifixion of Jesus, but continued to be manifested in the early days of the church as we learn from Saint Luke in his Acts of the Apostles. The Enlightenment project of excising the miraculous from human experience has resulted a widespread contemporary enblandment that has transformed Jesus of Nazareth from the incarnate presence of God on the earth to a likeable Jewish prophet and storyteller who came and went but somehow managed to infiltrate Western history thereafter. David Hume's imperious but ultimately vapid proclamation of the impossibility of miracles has resurfaced not only in the thought of such Protestant theologians as Rudolph Bultmann, but more recently in the teachings of a number of Catholic theologians including Walter Kasper and Hans Kung. The rejection of the miraculous has come to be viewed as a perfectly reasonable option for many (possibly most) in modern society. This is necessarily a limited and partial view based on a solipsistic individualism that refuses to acknowledge any source other than its own experience as a determinant of validity regardless of all presented verifiable evidence. Giuseppe Caccioppoli is not alone in his accounts of inexplicable and transcendental manifestations in relation to Padre Pio of Pietrelcina. Numerous such accounts are on the record for any who would care to search them out. Nor is Padre Pio the sole exemplar of such charismata. The events at Fatima witnessed by over 70,000 people on October 13th 1917 have been all but lost to our collective memory. The 13-year-long survival of the Portuguese mystic and seer Alexandrina da Costa solely on a single daily Eucharistic wafer is deemed an absolute impossibility despite the fact that it actually happened. And the remarkable manifestations associated with Filipino mystic and stigmatist Emma de Guzman are completely sidestepped in the considerations of those who would deny the existence of a transcendental reality. Despite the endless debates, the proclamations, and the philosophising, such experiences are part of how the world is and of how the world has been throughout human history. Perhaps, as Rene Guenon suggests, there is a necessary initiatic precondition to one's entry into and participation in perennial and transcendental understandings. Actual contact with an individual who demonstrably participates in and manifests transcendental charismata may be the only means whereby some are enabled to break through the cognitive and philosophical barriers by which the world has been desacralised and disenchanted. The workings of grace, the character of one's lived experience, and the nature of one's disposition towards the ineffable will all condition what we are met with during the course of our lives. A certain porosity, or openness to transcendental realities, is more likely to favour their manifestation in one's own life - even though Saint Paul was himself not so disposed on that fateful morning as he travelled towards Damascus. The Italian language audio file that can be accessed through the media player below is derived from a video interview conducted with Giuseppe Caccioppoli in 2013. It is a testament to the deep affection and devotion that Giuseppe held for Padre Pio. It will be of especial interest to all who have a liking for lu dialettu Napolitanu. 2. 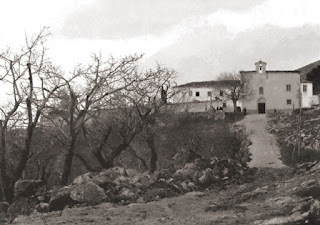 This peculiar development, along with earlier prohibitions of Padre Pio's activities by the Vatican in the 1920s will be examined in detail in future La Via Luminosa posts. 4. This episode is recounted in Giuseppe Caccioppoli's own words between 33m 20s and 38m 35s in the audio file embedded with this post. 5. Described between 39m 40s and 45m 10s. Padre Pio of Pietrelcina, the Capuchin priest who carried the wounds of the crucified Christ, embodied truths that have been stridently denied by many who would tell us how we are to think and what we are to disbelieve during these times of overwhelming power and overwhelming impotence. This remarkable man bore witness to the essential truth carried in the Christian understanding of the incarnation, of the human embodiment of the living Christ. As one who bore the stigmata, the five wounds of the crucified Christ, Padre Pio projected historical truth. He shares this witness with Saint Francis of Assisi.